Ashbrook Estate is one of the oldest established wineries in the Margaret River region, located in the heart of Wilyabrup. 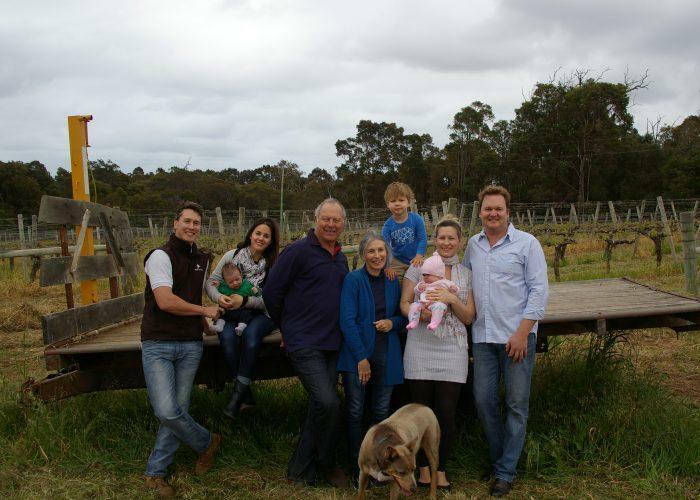 Truly family owned and operated since 1975 by the Devitt family, Ashbrook produced its first commercial wine in 1979. Currently under the watchful eyes of Carol and Brian Devitt, daughter Catherine Edwards, son Richard and son-in-law Kingsley Edwards, Ashbrook has been a family business for over 40 years. Only grapes handpicked and grown on the Estate are used and all processing, winemaking, bottling and packaging are closely controlled using the Estate's own state of the art facilities. Seventeen hectares of grapes produce 150 – 170 tonnes of fruit which equates to 12,000 – 14,000 cases of wine annually. James Halliday 93 "Hand-picked, crushed, destemmed, 50% fermented in tank, 50% in French oak (50% new), matured for 8 months. An elegant wine made to preserve freshness and focus on the fruit, here with equal inputs from stone fruit and citrus. A hedonistic style for consumption, not dissection"